Humboldt County students from K through Grade 12 are eligible to enter. Prizes: At least $550 to be awarded; divisions to be determined based on total number of entries received. Special prizes for best rendition of a bird in its natural habitat. Submission Rules: One entry per student. Maximum size of artwork, including any border material is 8.5” x 11”. Subject must be a rendering of a bird listed on the bottom of this page or another common local bird species. Any medium may be used (e.g., crayon, pastels, paint, pencil, collage), as long as artwork is light enough to be push-pinned to a wall for display. Write student’s name, home address, phone number, teacher name, grade number, and name of school on back of entry, along with the species of bird being depicted. Do not frame. 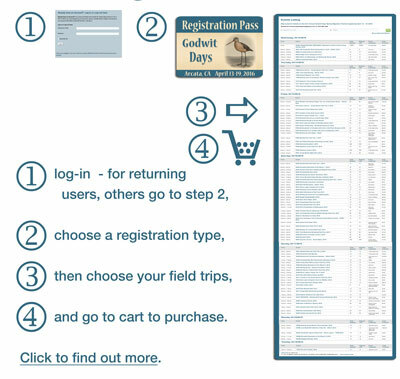 Announcement of Winners and Artwork Display: Winners will be announced and awarded prizes at Godwit Days Spring Migration Bird Festival at 10:30 a.m. on Saturday, April 20, 2019. Come early for cookies and punch! All entries will be displayed in the Arcata Community Center during the festival (April 19-21). Color copies of winning art will be displayed at the Arcata Marsh Interpretive Center during May and June. Winners’ names will be published in FOAM and RRAS newsletters and sent to local media. A booklet containing all winning artwork and artist photos taken during the awards ceremony will be posted at www.rras.org and www.arcatamarshfriends.org. Deadline for Receipt of Entries: Friday, March 22, 2019. Drop off at the Arcata Marsh Interpretive Center, 569 South G Street, Arcata, or mail to Sue Leskiw, 155 Kara Lane, McKinleyville 95519.